Although I’m a moderately serious sports fan, and I’ve been associated with a good number of colleges and universities over the years, I’ve never attended a school with a big-time sports program. On the pro side, I’ve maintained my strong affinity for Chicago teams (Cubs, Bears, and Bulls, oh my! ), and been a fair-weather fan of the New York Mets (mid-80s), New York Knicks (80s-early 90s), and New England Patriots (Brady-Belichick era). However, when it comes to college basketball and football, I’ve been something of a waif. I’ve been writing a lot about my college and law school experiences lately, so let’s take them from a sporting angle. I received a very good classroom education at Valparaiso University, but its intercollegiate sports teams during the late 70s and early 80s were lackluster and not a big focus of campus life. VU had just made the jump to Division 1 basketball, and those early teams struggled for respectability. I went to only one game, against then-No. 1 ranked DePaul University, led by All American forward (and future NBA All Star) Mark Aguirre. When DePaul walked onto the court for warm-ups, the VU fans stood up — not to applaud or to jeer, but rather because we were starstruck that a top-ranked team was in our midst. The game itself played out as one might expect. My next educational port of call was New York University for law school. During the early to mid 20th century, NYU enjoyed national success in both basketball and football circles, but by the time I arrived in 1982, intercollegiate sports had been de-emphasized to the point of irrelevance. It would relaunch its men’s basketball program at the Division 3 level during the mid-80s. They quickly assembled some good teams, even reaching the national championship game in the early 90s, and have remained competitive since then. Each year I lived in New York, I would go to a few NYU hoops games, usually alone. D3 hoops games aren’t a big draw with the rest of Manhattan at your fingertips. Or maybe it was hard to get excited about a college team whose mascot is named after the library’s card catalog (Bobst Library Card Catalog, or Bobcat for short). Over the years, I’ve kept my affinity for Notre Dame football — a product of having grown up in Northwest Indiana. Fandom can be irrational; I’m neither Catholic nor a Notre Dame alum! Because a dear friend is an Annapolis graduate (Class of 1953), I root for the Navy Midshipmen as well. Had some weird twist of fate ever led me to the Academy, I would’ve lasted about a week before getting booted out for continually questioning orders, so go figure. During the 2000s, the University of Hawaii had a string of successful, fun-to-watch, pass happy teams, and I enjoyed pulling for them. The highlight of that run was an undefeated regular season in 2007, culminating in a Sugar Bowl appearance. For reasons I can’t explain, I also follow from afar (usually by checking the box scores) the powerhouse Division 3 football team at the University of Mount Union in Ohio. Although they’ve been stymied in the national championship game in recent years by nemesis Wisconsin-Whitewater, they have compiled some of the most remarkably dominant seasons in the history of collegiate football. Drew followed his collegiate glory with a solid stint in the NBA. He is now the Valparaiso head coach, and when VU makes an appearance on one of the ESPN stations, I’ll often watch or record the game. They made the NCAA tournament this year, losing in the opening round to Maryland in a close game. This month, SB Nation ran an excellent long form piece by Justin Pahl, son of a former VU faculty member, who wrote about growing up with the emerging, underdog VU basketball program during the 1990s. 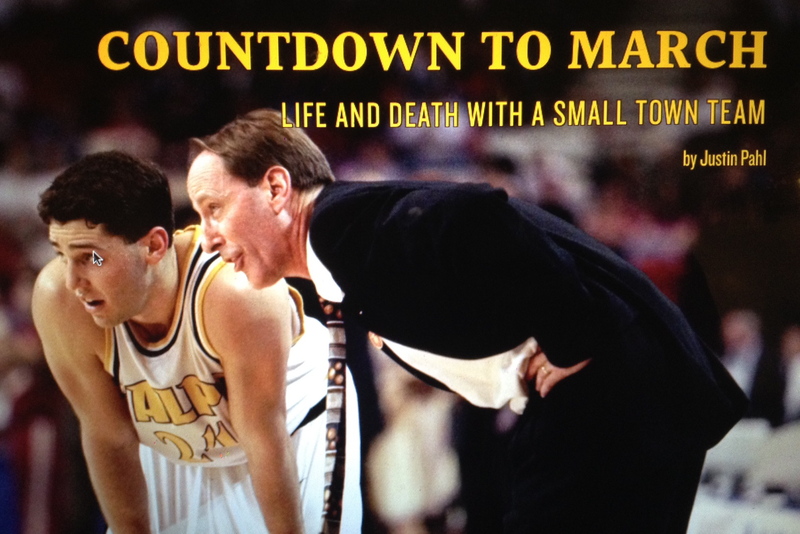 It’s a very good story about life and sports in a small, Midwestern university town. I took a screen shot and pasted it in above.